Is custom wedge stamping offered by all companies? Yo, Gear Guy! 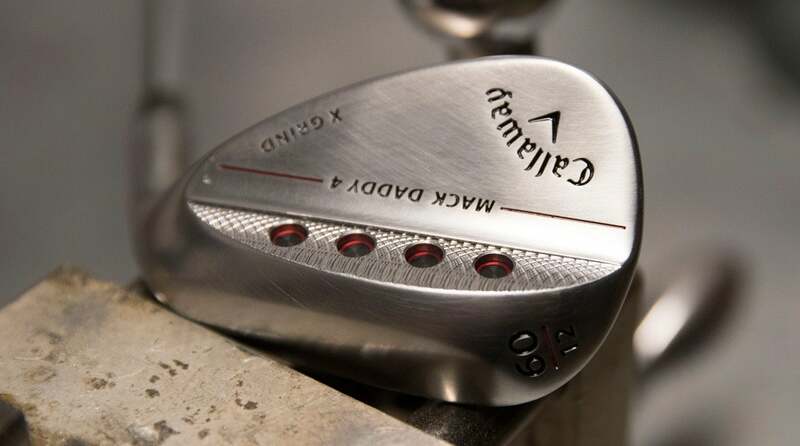 Custom wedge stamping is very popular among PGA Tour pros. Check out Wesley Bryan's wedges above. Welcome to another edition of Yo, Gear Guy!, an interactive GOLF.com series in which our resident dimplehead (a.k.a., GOLF’s deputy editor of equipment, Mike Chwasky) fields your hard-hitting questions equipment questions. This week he takes on custom wedge stamping, women’s golf clubs and the pros and cons of raw wedges. Bryan Sartory on Facebook: I see wedge art all over social media these days. Is this something each company sells as an extra option now? 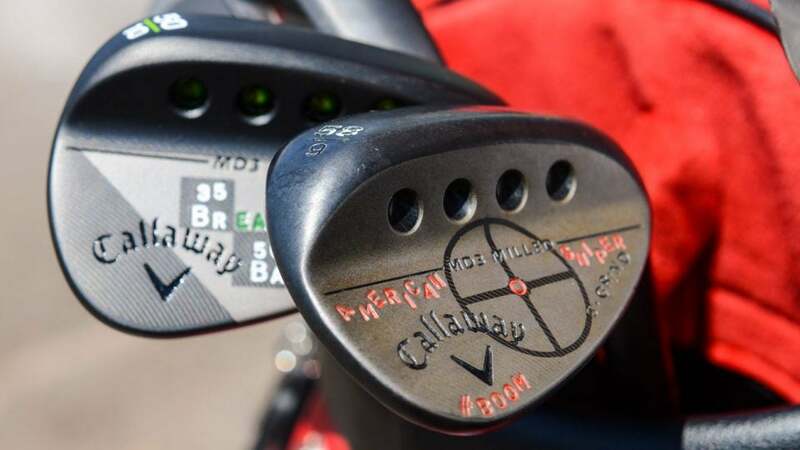 When you refer to “wedge art” I can only assume you mean the various custom wedge stamping and paint fills that a number of wedge manufacturers (most notably Callaway and Vokey) offer through their custom programs. To answer your question, not every company makes these options available to consumers, although customization is undoubtedly a trend in golf club manufacturing today. Just like some shoe manufacturers like FootJoy (MyJoys) and Nike (NikeiD) allow you (for an upcharge) to select custom colors and/or materials for certain models, some club companies not only offer a selection of finishes but provide choices of anything and everything from grips and shafts to ferrules, paint fills, and wedge stamping, etc. Currently Callaway also offers customization of the new Epic Flash driver via color choices in specific areas of the clubhead. While none of these options actually affect the performance of a given club or shoe, they do give players the chance to express themselves through the vibe their gear exudes. And according to a number of industry insiders, this is a trend that’s likely to grow in the future. If you’re looking to add a new club to your bag, or even looking for a new actual golf bag, do some research — you’ll be surprised how many companies offer custom options. Jill O’Callaghan on Facebook: Are the same clubs I see advertised by the big manufacturers always available for women too? Or do they make separate lines of clubs? That’s a fair question that I get a lot, and it depends on the manufacturer and the model. I did a quick search on “women’s clubs” and quickly found XXIO, TaylorMade, Callaway, PING, Cobra, Wilson Staff, and Tour Edge Exotics, to name a few, all currently offer models aimed specifically at women. Some offerings, like TaylorMade’s Ladies M6 irons, are basically the exact same model as the standard or men’s model, but with shorter and lighter, more flexible shafts and potentially lighter clubheads. At the same time, TaylorMade also offers the Kalea line of women’s clubs, which are unique and not offered in a “men’s” model. The same thing is true of a number of other manufacturers that make both unique ladies models and ladies versions of their standard line with slight alterations often including different color options. Of course a large percentage of “serious” or accomplished female players simply play the same exact model gamed by their male counterparts only with different shafts (sometimes) and swingweights (sometimes). This is why custom fitting is so important – your age, weight, height, swing type and speed, as well as a number of other variables, can play a significant role in setting up your clubs to optimize your individual performance. My advice here is pretty straightforward – don’t pay too much attention to modifiers like “ladies” or “senior.” Instead, I suggest you get fit to see what works for you. Remember, Fred Couples famously played for years with a “ladies” fairway wood that he borrowed from Tom Watson’s garage, and Freddie was one of the fastest swingers and longest hitters on the PGA Tour – so don’t worry too much what a club is called and more about how it works for you. Callaway offers its Mack Daddy 4 wedges in a raw finish. Troe2112 on Instagram: What are the pros and cons to raw finished irons or wedges? Though the “raw” designation is normally reserved for wedges (currently Cleveland, Vokey, and Callaway, among others, offer this finish in their respective lineups), it is occasionally offered in irons as well. However, “raw” wedges do also offer some perceived “pros” that certain players, typically more accomplished ones (Tour players) value like a more responsive feel at impact, more perceived control on scoring shots and potentially more spin on short shots (this is up for debate). Regardless, you’ll typically pay more for the raw option and get a club that looks very cool but offers less durability over time.